From Aug. 27 – Sept. 1, a team from the Soldier for Life – Transition Assistance Program (SFL-TAP) Office located at Ft. Knox, KY is visiting USAG Bavaria to train senior leaders, government staff, and contract staff on a new Army Pilot Program that changes the way the Army’s transition process works. “The pilot is going to help change the way the Soldier for Life – Transition Assistance Program operates. We are adapting to a need that we know will help provide Soldiers with the best resources for transitioning,” said Mr. Walter M. Herd, SFL-TAP Director. SFL-TAP is required for all Soldiers with 180 days of continuous active duty service. Soldiers are required to begin no later than one year prior to their transition date. The program prepares Soldiers to begin civilian careers through courses that teach resume writing, military skills translation, financial planning and other career skills. SFL-TAP is a Commander’s Program, with leadership having a responsibility in ensuring Soldiers are completing all required SFL-TAP courses and counseling. The courses are also open to a Soldier’s Family and DA Civilians. 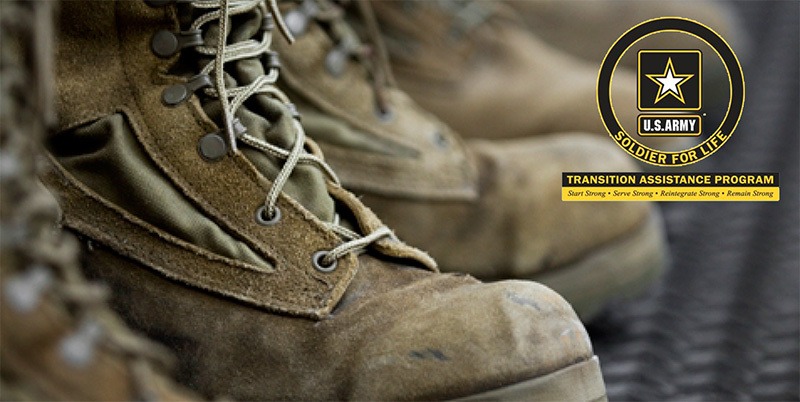 SFL-TAP focuses on ensuring that all eligible transitioning Soldiers have the education, training, and counseling needed to be “career ready” when they leave active duty service. The Army looks to foster the idea of a “Soldier for Life” throughout a Soldier’s career and even after they transition out of the Army. Soldiers are encouraged to think about post-transition plans early, often, and throughout their time in service. Until now, the Army has utilized a “one size fits all” approach to transition. All Soldiers are currently required to meet the same Career Readiness Standards (CRS), which integrates legally mandated courses from the Veterans Opportunity to Work (VOW) Act of 2011. Starting October 1, 2016, USAG Bavaria will take part in a two-year pilot program that customizes the transition process for the Soldier. Five other installations are also participating in the pilot program including Fort Drum, Fort Campbell, Fort Bragg, Fort Hood, and Joint Base Lewis-McChord (JBLM). “We are very excited about the pilot program at these six installations. We’ve been listening to feedback from our Soldiers and we hope to provide a more customized solution,” Herd said. The pilot will assign active component Soldiers a score/category using a multi-variate model based on a Soldier’s demographic data. The score determines which CRS are mandatory and which are optional. All VOW requirements remain mandatory and any CRS the Soldier elects to complete remain available.